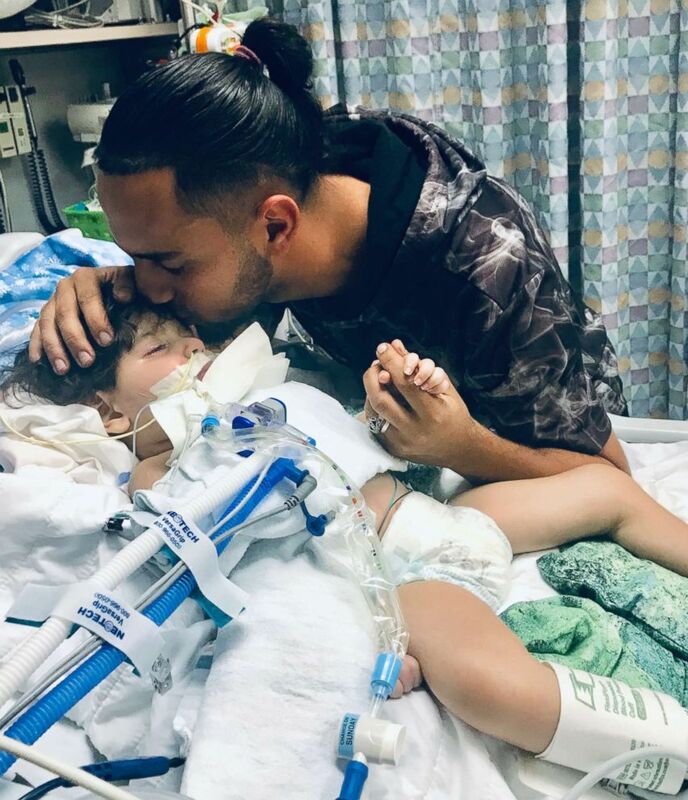 SAN FRANCISCO, Calif. — Abdullah Hassan, the 2-year-old boy whose mother fought against Trump's travel ban to get a U.S. visa to be with him has died. "We are heartbroken. We had to say goodbye to our baby, the light of our lives," Ali Hassan, Abdullah's father, said in a statement Friday. "We want to thank everyone for your love and support at this difficult time. We ask you to kindly keep Abdullah and our family in your thoughts and prayers." Abdullah's mother, Shaima Swileh, was denied a visa to travel to the U.S. for more than a year because she is from Yemen -- one of the countries on which the Trump administration imposed travel restrictions. 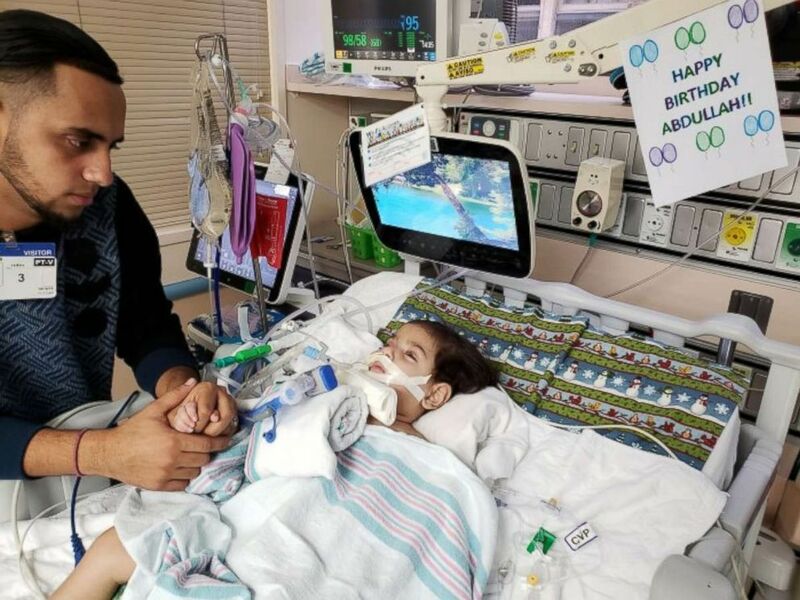 Swileh’s husband and son are both U.S. citizens, and Ali and Abdullah had been in the U.S. since October as the toddler received treatment for a rare brain disease at University of California San Francisco's Benioff Children's Hospital. 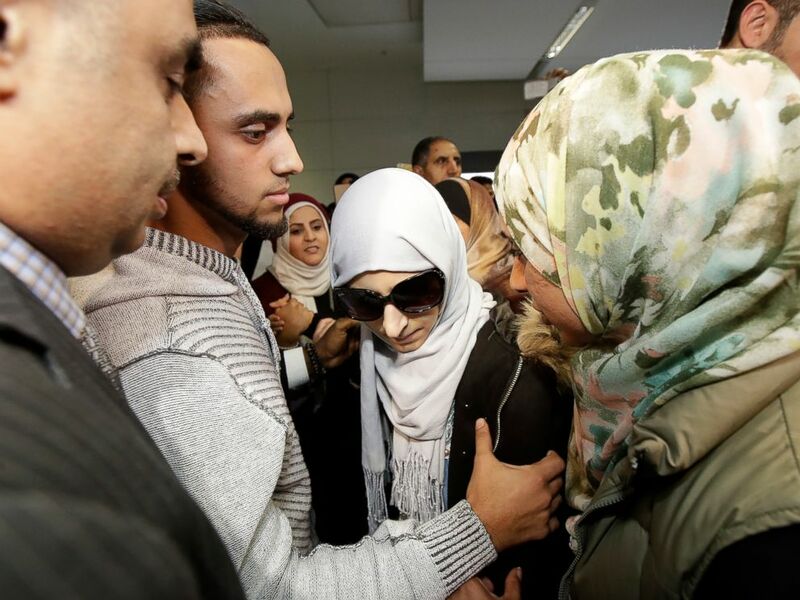 Swileh was only granted a visa on Dec. 18 after attorneys for the family filed a lawsuit in federal court. She arrived in the U.S. and was reunited with her husband and son, but by then, Abdullah had lost consciousness, Jennifer Nimer, the family's attorney, said. She spent nine days with her son before his death on Friday. "It's extremely sad because it was preventable. If she had been able to travel with them from the beginning, she wouldn't have missed out on the last two months when he was still conscious and awake and able to see her," Nimer told ABC News earlier this month . A memorial service will be held for Abdullah Saturday at the California Islamic Center in Lodi, and he will be laid to rest at the California Islamic Cemetery, the Council on American-Islamic Relations, Sacramento Valley office said in a statement . 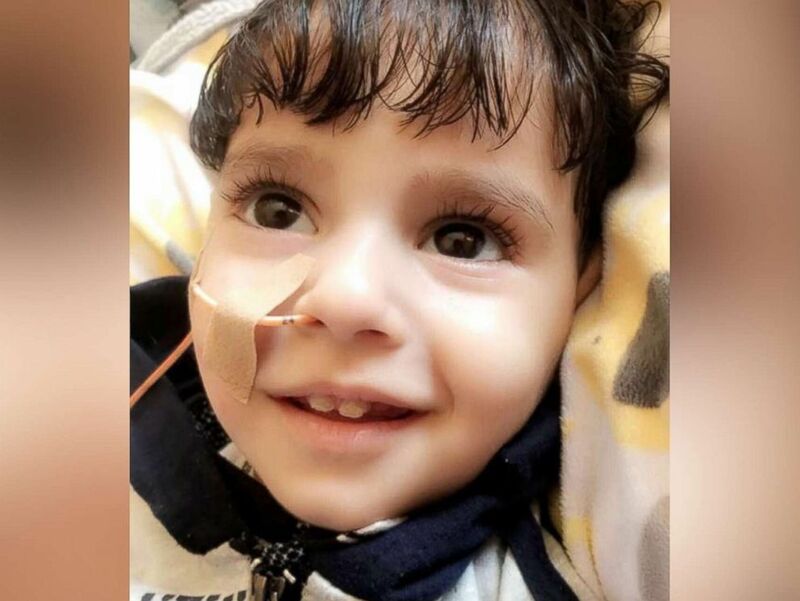 Abdullah suffered from epilepsy and hypomyelination, a neurodegenerative disorder, Nimer said. While he received treatment in the U.S., Swileh was unable to be with him for months, though she tried several times to have her visa waiver request expedited. Swileh was finally granted a visa after attorneys for the family filed a lawsuit in federal court Dec. 17 against Secretary of State Mike Pompeo, Department of Homeland Security Secretary Kirstjen Nielsen, Assistant Secretary of State for Consular Affairs Carl Risch and Consul General at the U.S. Embassy in Cairo Lisa Vickers, among others. The contents of the lawsuit have not been made public, but it seeks immediate relief in the form of the visa waiver, which has been granted, as well as damages, Nimer said. Nimer told ABC News earlier this month that Swileh was first interviewed by U.S. consular officials for a visa in November 2017, when an injunction on Trump's ban had been put in place, so she could travel with her husband and son as they sought treatment for him. The U.S. Embassy in Cairo did not make a decision on Swileh's visa until last December, when they denied her on the grounds that the ban on travelers from Yemen was in effect once again after the Supreme Court allowed the ban to go into effect on Dec. 4, 2017 even as legal challenges to it made their way through the courts. Swileh applied for a visa waiver, and requested that it be expedited several times, Nimer said, adding that the family emailed embassy officials 28 times to check on the status of her application and explain how dire Abdullah's health had become. "They repeatedly emailed, begging and pleading and detailing that their son was getting sick, and he was getting worse, and we have to travel. They mention that he was still breastfeeding and didn't want to be separated from his mother," Nimer said. "And every time the answer was simply, 'Your case is in administrative processing.' You can't even get a human response." Finally, Hassan decided to bring Abdullah to the U.S. alone in October to get medical treatment. But Swileh was still waiting on the visa waiver to join them, even as Abdullah's health worsened, Nimer said. Hassan began working with CAIR to try to raise awareness about his wife's case. Nimer began representing the family on Dec. 14, sending inquiries to the U.S. Embassy in Cairo and the State Department's LegalNet, a resource for attorneys. "We specifically said, 'This is a matter of life and death at this point, and it needs to be expedited.' And the embassy's email was exactly the same, 'It's in administrative processing.' And we actually told them in that email we were planning to file a lawsuit, just kind of hoping that would prompt them to get moving on it," Nimer said. A State Department spokesperson declined to comment to ABC News on the lawsuit earlier this month, citing department policy to not discuss pending litigation. Nimer said the family has "suffered needlessly" over more than a year. Saad Sweilem, a civil rights attorney who also represents the family, said Abdullah's case brought the human impact of Trump's travel ban to light. "Ali and Shaima are in our thoughts and prayers as they mourn the loss of dear Abdullah. 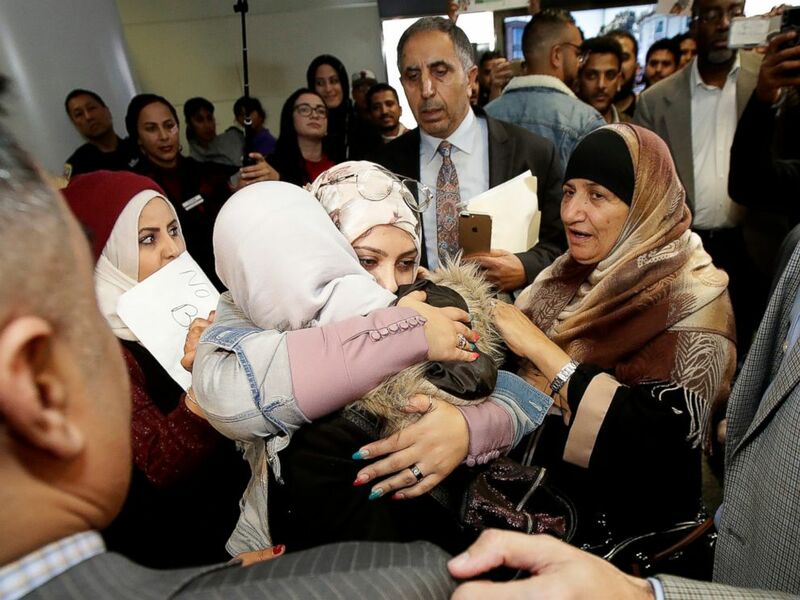 With their courage, this family has inspired our nation to confront the realities of Donald Trump’s Muslim Ban," Sweilem said in a statement . "In his short life, Abdullah has been a guiding light for all of us in the fight against xenophobia and family separation."